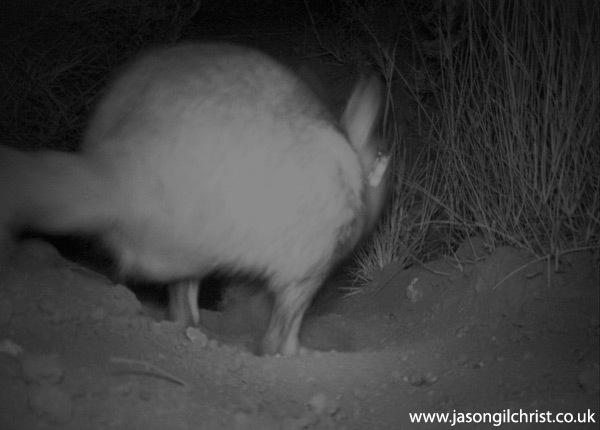 Remote camera trap photo of a Springhare (Springhaas; Pedetes capensis). The nocturnal 'African mini-kangaroo' captured in black and white. Despite its kangaroo-esque appearance, it is a burrowing rodent (Family Rodentia). Night image.